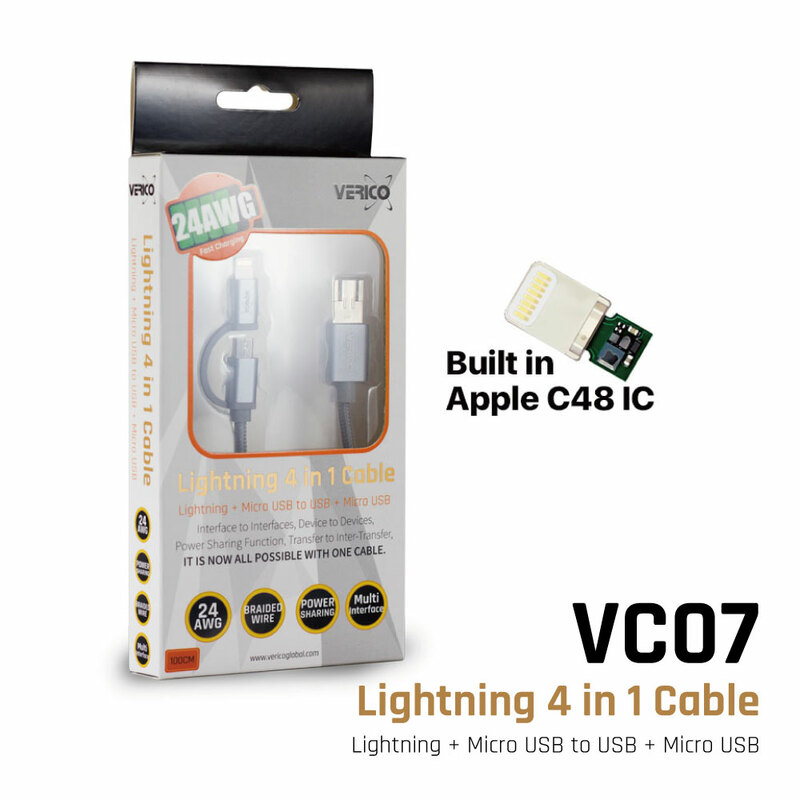 Lightning 4 in 1 Cable (1M) – Verico International Co., Ltd.
24AWG Cable supports iPhone / iPad for faster charging / sync. Supports Android devices for fast charging (Only for Micro USB type devices). Device to device charging function (Apple devices only supports charging function, some models of Sony don’t support power sharing function). High speed sync and data transfer function between USB and Lightning devices. Unique Lightning housing connector for a more convenient use with most protection case. High quality metallic connector housing. Free tangle cable made with high quality and resistant braided cable.